In this episode of Startup School Radio, host and Y Combinator partner Kat Manalac sat down with Solomon Hykes, who is currently the founder and CTO of Docker. You can subscribe to Startup School Radio on Soundcloud or iTunes. For weekly recaps of The Macro, sign up here. 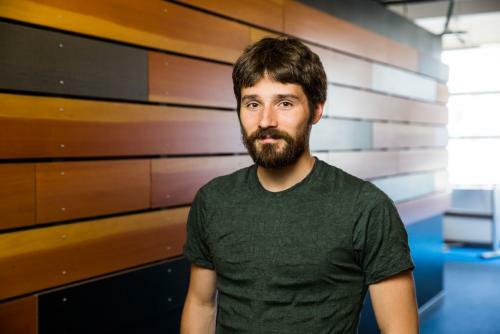 The company originally launched out of YC as dotCloud, a platform-as-a-service startup, and in 2013 shifted to fully focus on its homegrown container technology to become Docker. Solomon Hykes : We did build a business, we had paying customers, and dotCloud was by no means a failure, but it wasn’t succeeding fast enough, basically. We had plenty of money in the bank. There was no dramatic, horrible situation. It was more like a slow-boiling frog situation, where you’re making progress every month, but you can’t help but think, “Could it be better?” But you don’t really have a reference point, so you keep going. Because what are you going to do? You’re not going to give up. And so that’s where that seed was planted that it would eventually lead to the pivot, to Docker. Solomon Hykes : Right. So that moment was the beginning of 2013, basically. At the end of 2012, I kind of made a call with myself that, “Okay, the frog is boiled. I repeat, the frog is boiled.” But that was a difficult moment. Because, well, if you act on that conclusion, then it’s not an easy thing to do, right? You have to tell people that their hard work is — you have to tell engineers, “All the stuff you’ve been building for the last few months, we’re canning it.” In our case, we had to lay off people because we couldn’t afford to do something new and keep doing the existing thing at full speed. So you’re not sure. But you kind of have to make that call and go all in. Kat Manalac : And was it mainly your core team making these decisions, or did you have advisors, who helped inform this? Kat Manalac : So how did you know, out of all the possibilities, that Docker was the correct path to take? Was it based on that feedback from advisors? But [as a startup], you’re 15 people. And no one cares about your first product. So it doesn’t matter. What made Docker succeed, I think — well, we got lucky in a bunch things, it was the right thing at the right time. But mostly, what gave us a chance to succeed is that we went all in. Basically, it was a screw it moment: “Okay, forget it. If we’re going to fail, then let’s fail doing something that we really are excited about.” That was my motivation. Subscribe to Startup School Radio on Soundcloud or iTunes.